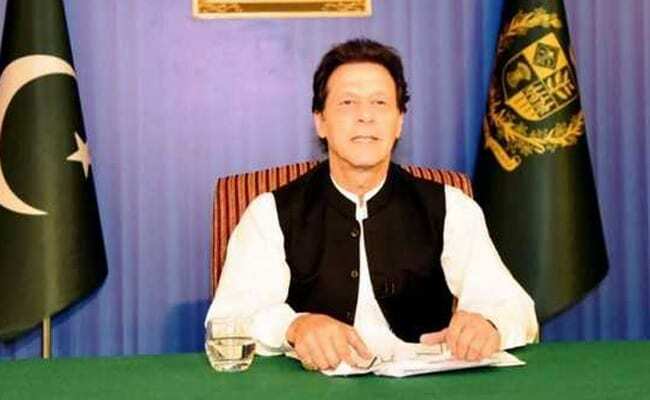 Terming as "deeply regrettable" Pakistan Prime Minister Imran Khan's remarks on Kashmir, India today said that instead of making comments on internal affairs of another country, Islamabad should take "credible action" to dismantle terror infrastructure operating from its soil. Pakistan's "deceitful stand" on dialogue, while supporting terror and violence, "stands exposed" to the whole world, ministry of external affairs spokesperson Raveesh Kumar said today, while replying to queries on Mr Khan's remarks. Referring to incidents of violence in Kashmir, Mr Khan, in a tweet, said that time has come for India to realise that it must move to resolve the Kashmir dispute through dialogue in accordance with the UN Security Council resolutions and the wishes of the Kashmiri people. "Strongly condemn the new cycle of killings of innocent Kashmiris....by Indian security forces," he tweeted. Responding to Mr Khan's remarks, the ministry of external affairs spokesperson urged the Pakistan leadership to look inwards and address its own issues. "Pakistan would serve the interest of the people of the region by taking credible action against all kind of support to terrorism and terror infrastructure from all territories under its control rather than supporting and glorifying terrorists and terror activities against India and its other neighbours," Mr Kumar further said. It is not the first time Mr Khan has spoken about Kashmir. In his victory speech after the July elections, he expressed his willingness to improve Pakistan's ties with India and said that his government would like the leaders of the two sides to resolve all disputes, including the "core issue" of Kashmir, through talks. A meeting between the foreign ministers of India and Pakistan was announced on the sidelines of the United National General Assembly. However, in September, New Delhi called off the talks, citing killing of Indian security personnel by Pakistan-based entities and the release of Pakistani postage stamps "glorifying a terrorist and terrorism".